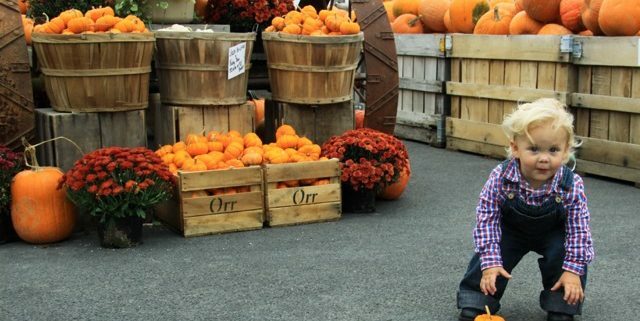 Fall is an exciting time of year at Orr’s Farm Market! While we are busy picking, packing and processing our apples, pumpkins, squash, etc.… we also welcome groups for tours or school field trips during the season. Between September 17th and October 31st groups can make appointments for a Pumpkin Patch Field Trip on Mondays, Wednesdays or Fridays to tour our farm and learn all about the different types of produce we grow. The tour includes a discussion of pumpkin varieties, pumpkin components, the different apple varieties, and how each are grown. The tour also includes a hayride through the orchard and pumpkin patch. Students will leave with a goody bag that contains one coloring book, crayons, a sticker and a small pumpkin. The ideal age group for this experience is Pre-K through 4th grade, but older groups can be accommodated. Each hayride wagon will hold up to 30 people and it is possible to reserve multiple wagons. Field trips take approximately 2-2 ½ hours and admission is $7.25 for groups of 16 students or more. Teachers, aides and bus drivers will have free admission. Parents will pay $4.50 for admission which includes the tour and snack. In addition to our school-aged field trips, we also offer Bonfire Hayride Tours for groups of up to 25 people. Enjoy a tractor-driven hayride through our beautiful orchards. You can plan this trip during the daylight and see the scenery of the countryside and nearby mountains, or plan it later in the evening for a hayride under the stars. Then enjoy the warmth of the crackling bonfire in our woods. Bring your own refreshments and entertainment and enjoy an evening of fun in the country. Benches are provided, but you may want to bring your own lawn chairs or blankets to sit on. Bonfire Hayride tours are available on Fridays and Saturdays in the fall at 6:30 or 7:30 pm. The fee is $165 per wagon which includes a 45-minute hayride and a 75-minute bonfire. Each group will get one picnic table and a piece of fruit for each person. If you are only seeking the bonfire experience, the fee is $125 for 25 people. If you have a group that is interested in joining us this year, please visit www.orrsfarmmarket.com or email us at info@orrsfarmmarket.com. We hope to see you this fall on the farm! Congratulations from Orr’s Farm Market! You did it, Mom and Dad! Your child is now in college. This is a big life transition for everyone and it means that you will no longer get to play as much of a role in your child’s food choices. College is a unique time for students to explore some new food habits, but it can also be a minefield of late night pizza, instant ramen noodles and unlimited portions. How can you best guide your young adult as they navigate through this experience? Most college students start out in a dorm-room setting with very few opportunities to cook or prepare meals. Savvy students will get creative with their mini-fridges and microwaves, but there aren’t a lot of chances for wholesome, home cooking. Help your college kid become familiar with healthy things that are easy to keep on hand in a dorm room. For example, carrots and hummus, apples, yogurt, and instant oatmeal are all pretty dorm-friendly. Stocking your college student’s dorm fridge with snacks like these will make it easier for them to choose healthy brain fuel and resist the urge to order carryout. Talk with your college student about their meal plan and help to prepare them for the all-you-can-eat dining hall portions. One simple trick is to select a smaller sized plate. This can help keep portions in check. We like to shift from an all-you-CAN-eat mindset to an all-you-NEED-to-eat mindset. This helps to reframe food choices by need rather than desire. An easy trick to ensure biodiversity in your diet is to have a colorful plate. Colorful foods are packed with nutrients that bodies need. While the dining hall can be full of guilty indulgences like french fries and chicken wings, they will also provide a well-balanced variety of veggies and salad options. Remind your child of this and encourage them to eat a rainbow of foods. Before your child leaves, take him or her shopping for some of their favorite healthy, dorm-friendly foods. Use this as an opportunity to talk about smart food choices and get their input about what they like. This is also a good time for you to take a few mental notes about what they prefer so you can be sure to include their faves when you send the always appreciated care package from home. Don’t have time to put together a care package? Don’t worry! Here at Orr’s Farm Market we offer seasonal gift boxes and we’d be happy to send a box of our delicious apples or market goodies. Information can be found on our website, or stop into the market Monday through Saturday from 8 am to 6 pm and on Sundays from 10 am to 4 pm. We look forward to seeing you on the farm! Summer is a busy time at Orr’s Farm Market, but we know the busy season for most folks will come when the school year begins. Sending kids off to school with a healthy lunch can help to ensure that your young scholar will be nourished and alert throughout the school day. If your home is like ours, mornings before school starts can be chaotic and challenging. By the time everyone is awake and dressed, it can feel like a daunting task to also pack a healthy lunch in time to catch the bus! Prepping lunch options in advance can make it easier to get the kids out the door and also helps you make sure their meal is well balanced. We’ve developed a few tricks that help parents pack the best lunch, and hopefully also encourage your kids to eat it! One tip we like to employ is to include your kids in the lunch packing process. This takes some pressure off of you and provides a good learning opportunity for them. We discovered that kids are more likely to eat a lunch they have played a role in designing. What are your child’s favorite fruits and veggies? What does your kid hate to eat? Let your child have a supervised say in what goes into their lunchbox. Making food fun to eat is another great way to encourage healthy eating. Cookie cutters are a simple way to jazz up an average sandwich – and, as a bonus, it’s a built-in crust remover for kids that are strictly anti-crust. Letting your child pick out their own reusable lunch box can also make lunchtime more exciting. It’s best to try to avoid too many processed foods. Prepackaged snack packs are not only less nutritious, but they are usually more expensive too. If you crave the ease of individual packaging, take one night a week and pre-portion crackers or carrots so they’re easy to grab when you’re rushed. This is another area where your kids can participate. Try to incorporate a variety of food groups in each meal. Fresh and dried fruits, veggies with a little hummus or dressing to dip, low-fat yogurts and cheeses and lean proteins like hard-boiled eggs are all easy packable. One of the most important things for a healthy body is to stay hydrated. Drinking plenty of water is important all the time, but it is especially critical in the warmer months or when your child is extra active. Let your kids pick out their own water bottle and encourage them to drink the whole thing at least twice before the school day is over. Kids (and parents!) are more likely to drink their water if they feel like it’s a competition, so join the hydration challenge! 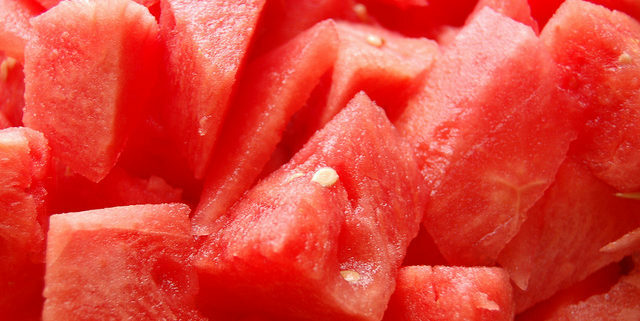 If you or your child find plain water to be boring, try adding a few pieces of frozen fruit for a mild flavor element. At Orr’s Farm Market, we’re always trying to think of new ways to incorporate healthy options into each meal. Come in and pick up some of your favorites Monday through Saturday from 8 am to 6 pm and on Sundays from 10 am to 4 pm. We hope to see you soon!